Over the past year, Whitworth was once again recognized by numerous organizations as a prestigious and academically excellent university. The President’s Higher Education Community Service Honor Roll named Whitworth among the top schools in the U.S. for its dedication to community service. Whitworth also earned this recognition in 2012, 2010, 2008 and 2006. Awarded by the Corporation for National and Community Service, this honor is the highest federal recognition a school can achieve for its commitment to service-learning and community engagement. Whitworth was ranked in the top ten in U.S. News and World Report’s rankings of the 115 best private colleges and universities in the West for the 13th consecutive year. Whitworth is No. 9 in the overall rankings, and is No. 4 in U.S. News’ “Best Values.” These rankings are determined based on academic quality and the average scholarship/financial aid award. The Princeton Review recognized Whitworth as a “Best in the West” university in the review’s “2012 Best Colleges: Region by Region” guide. The Princeton Review has also recognized Whitworth on several previous occasions. Forbes placed Whitworth as one of the top undergraduate institutions in the U.S. and named the university one of the top six private schools in the Pacific Northwest. This is the second time in three years that Forbes has named Whitworth a top institution. Kiplinger’s annual rankings of the 100 best values among private liberal arts colleges and 100 best values among private universities in the U.S. listed Whitworth for the sixth straight year. Whitworth was one of the smallest universities to make an appearance on this list as well as the second-highest-ranked school in the Pacific Northwest. 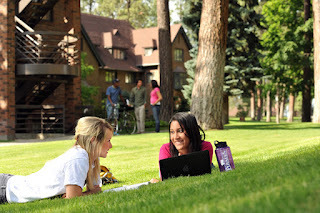 Colleges of Distinction named Whitworth one of the top universities in the country in its 2012-13 rankings. Colleges of Distinction honors universities that excel in educational quality. Whitworth was chosen because of its demonstration of excellence in engaged students, great teaching, vibrant communities, and successful outcomes. See Whitworth's profile. Whitworth received the Models of Excellence Award for excellence in teacher education from the Association of Independent Liberal Arts Colleges for Teacher Education. Whitworth was recognized at the 2013 AILACTE annual meeting and conference, in Orlando, Fla., Feb. 28-March 1. In spring 2013, Whitworth earned its sixth McIlroy-Lewis All-Sports Trophy for the best overall athletics program in the Northwest Conference. In one of the NCAA Div. III's toughest conferences, Whitworth has won the trophy six times in the past seven years. The Whitworth Service-Learning program received a Goodwill Industries’ Mission Partnership Award. This award was given for Whitworth’s outstanding work during the university’s annual Community Building Day. To see more of Whitworth’s past accomplishments and recognitions, click here.